Subscription fees to be dropped in March. Bethesda Softworks has announced the console release date for The Elder Scrolls Online: Tamriel Unlimited. The fantasy MMORPG will launch on PS4 and Xbox One on June 9, 2015. Additionally, Bethesda also announced that the game’s monthly subscription requirement will be dropped beginning on March 17 for PC and Mac players, and the console versions of the game will subsequently launch on June 9 without a subscription requirement. Instead, the game will introduce an optional subscription service called ESO Plus. The premium membership will provide players with exclusive in-game bonuses, a monthly allotment of crowns to use in the crown store and access to all DLC game packs while a member. 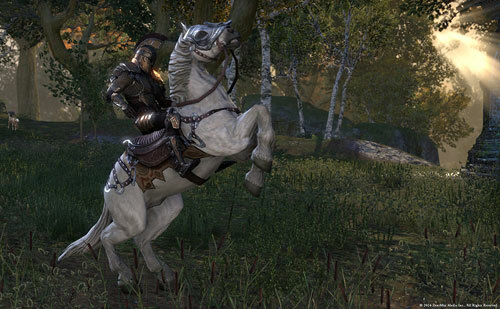 The optional ESO Plus membership will cost $ 14.99 a month. You can purchase the base game starting at $ 59.99. To find out more about The Elder Scrolls Online’s console launch and B2P transition, head over to the game’s official website. Tagged Consoles, Elder, June, Launches, Online’, Scrolls.